Japan is leading the way in a new publishing phenomenon - the novel serialised for mobile phone users. 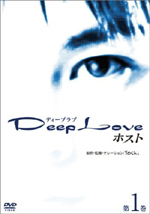 The most famous mobile phone book, Deep Love by Yoshi, has made its author a star and has spawned a film, TV series, manga cartoon and a best selling book. He began in 2000 as an unknown writer who set up his own website and started distributing his work by mobile phone. The style of the 'keitai' books tends to be conversational and immediate with strong appeal to their mainly young and female tech-savvy readers, many of whom have never read a print book. While sales of print books are in decline in Japan, sales of the mobile phone novel have gone from zero in 2002 to euro 60 million in 2006. The huge growth in the medium has been helped by accelerating transmission speeds, larger, flatter phone screens with sharper definition and flat fee unlimited downloads to 3G phones. Readers of mobile phone novels pay a monthly fee and have unlimited access to a selection of titles, some exclusively online others from print books. Print book publishers such as Shinchosha and Kadokawa see digital books as a way to find new audiences and revenue sources in the face of declining print book sales. Kadokawa's executive director Shin Nina told Monocle magazine: "The older readership is stable, but younger people have so many other forms of entertainment…some of them don't read at all. We decided to use mobile phones as a way of reaching them." As an experiment Kadokawa put all genres of books online including classics, mystery, romance and horror. It soon found that its main readers were women in their twenties and thirties who liked mysteries and love stories and were reading on the train late at night. Shinchosha's readers were of a similar demographic. Japan's biggest mobile phone carrier NTT DoCoMo launched its book service in 2003 and soon had a hit service. Kadokawa now has 50,000 regular readers and supplies books to 30 websites in a range of genres. Nina says: "Keitai (phone book) technology is so good now that we've closed the gap between e-books and phone books. We tried e-books but it's only through keitai that electronic publishing has become profitable." The advantages of phone books include not having to lug around hefty volumes on crowded commuter trains, and discretion for readers of the more racy titles. Books can be downloaded in seconds and payment is at a click of a button. Some of the keitai go on to sell as print books. Shuzuke Shizukui's romance Closed Notebook was accessed by phone users a million times when published as a 100-episode keitai and then went on to sell 200,000 copies in print. The latest phenomenon is the rise of the amateur keitai author, usually high school romances written by school girls, some of which have gone on to become printed bestsellers. In fact, of the top 10 bestsellers in Japan in 2006, four started out as mobile phone novels. While good sales for a print-only book might be 10,000, figures for books that originate as keitai go much higher. Authors have to please their readers for every one of perhaps 100 or more episodes, and so in the 21st century the once popular 19th century serialised novel, from authors such as Dickens and Conan Doyle, has made a surprising return on the mobile phone.